Today I have a very exciting interview for you. 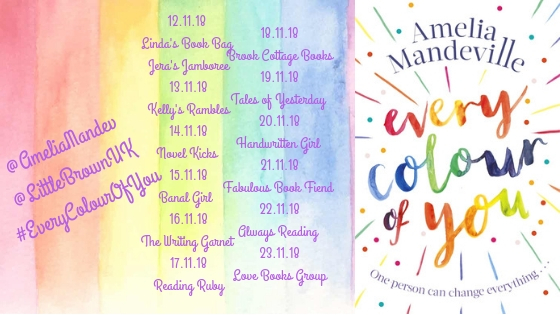 I was lucky enough to ask Amelia Mandeville, author of Every Colour of You all of my burning questions about her writing and the book. The book is out now and you can click here to order your copy!Thanks so much to Amelia for stopping by the blog today to chat with us and don't forget to stop by the other blogs on the tour for more reviews and other exclusive content. meets someone who can only see reasons to stop living . . .? Zoe's life is full of colour. A fan of impromptu yoga, inspirational quotes and experimenting with hair dye, she's on a mission to make the most of each and every day - even if she is currently spending most of her time behind a checkout till. Then she meets Tristan. The rumour is that since his dad died, Tristan's life has fallen apart. No one has seen him for months. But now he's reappeared, does that mean he's back to 'normal'? 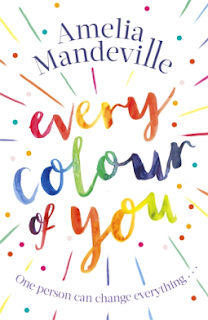 Zoe soon realises Tristan is struggling with a sadness that she can't possibly understand and becomes determined to bring a world of colour back into his life. But the harder she tries, the more she realises it's something she can't fix - and in trying to put him back together, a part of her is beginning to break . . .
Full of big emotions and heart-wrenchingly relatable characters, Every Colour of You is an unforgettable story, and perfect for anyone who's ever felt a little bit broken. I’ve always enjoyed writing, always been writing, always been creating stories, and I don’t think it was until I got a laptop when I was probably about 13/14 that I started writing novels. No I don’t! I do spend a lot of time on my writing, however not full time! A girl can dream though. Um, I don’t really know. 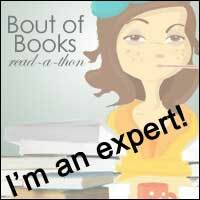 I guess authors do have their style, but I’m only starting so I’m still learning what my style is. I like focusing on emotions though. I know that. I think writers do write based from what they know, but I’ve never written a character who is the exact copy of someone I know. What was the inspiration behind Every Colour of You? I do tend to map it out, I hate planning though, I get so excited and want to start writing, however its very crucial. I try to always have a good idea of what events follow through from the beginning to the end, but it does change as I write and edit. I would say a lot. I’m quite an emotional person. I think there’s a bit of both of me in Zoe and Tristan. What kind of research did you do before/during writing Every Colour of You? Ah. I try not to. It’s my first published novel, so I really have no idea what my writing is like. So I am curious. But obviously not every book is everyone’s taste, so I do need to take a lot of reviews with a pinch of salt, and also see it as help to develop my career. Some reviews have been lovely though, so so lovely. Very supportive, my Mum always encouraged me never to give up! I really like Emily Jenkins. Her book We were Liars really got me. Jeeeez. Amelia Mandeville has been creating stories and characters in her head ever since she can remember. When there became too many, she started to write them down. Now 21, Amelia is the debut author of Every Colour of You, publishing in November. 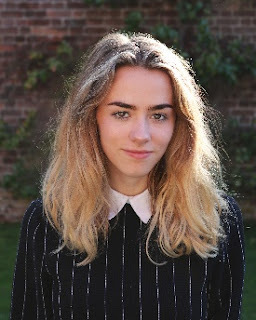 Besides getting lost in the stories she's written, Amelia spends her time attempting to bake, dyeing her hair and vlogging for the YouTube channel she shares with her sister, Grace - the aptly named TheMandeville Sisters.